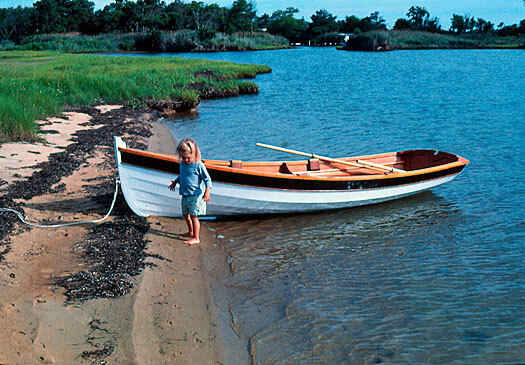 Dave Quillen writes that he built and named this boat for his daughter, the actual Lila Wildy. The boat is 14' long, and is constructed of 1/4" marine plywood hull planking, western red cedar stringers, with cypress keel, stem, and rail caps. The breasthook is oak, and the transom, seats, and thwarts are mahogany. LILA WILDY rows beautifully and quickly even when loaded with my family of four plus a big dog.